Neighbor borrowing your tools again? 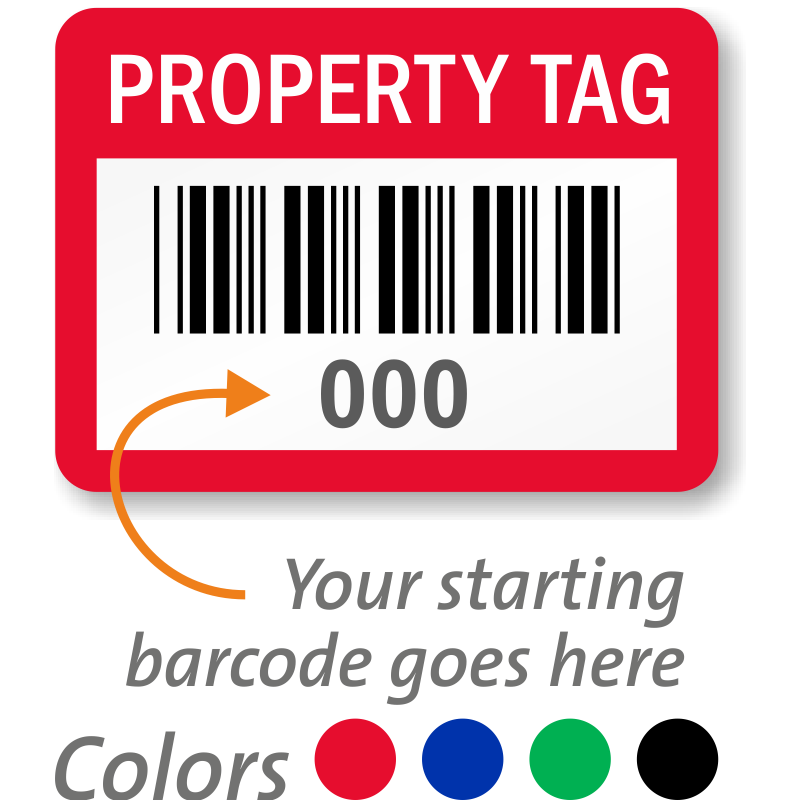 Whether it's for your home garage or company warehouse, keep an eye on your tools with Tracking Barcode Labels. Reduce loss and misuse, and classify these to the employees, trucks, job sites, and more. • Choose a material or style below to get started. • In a range of sizes, perfect for your tools. 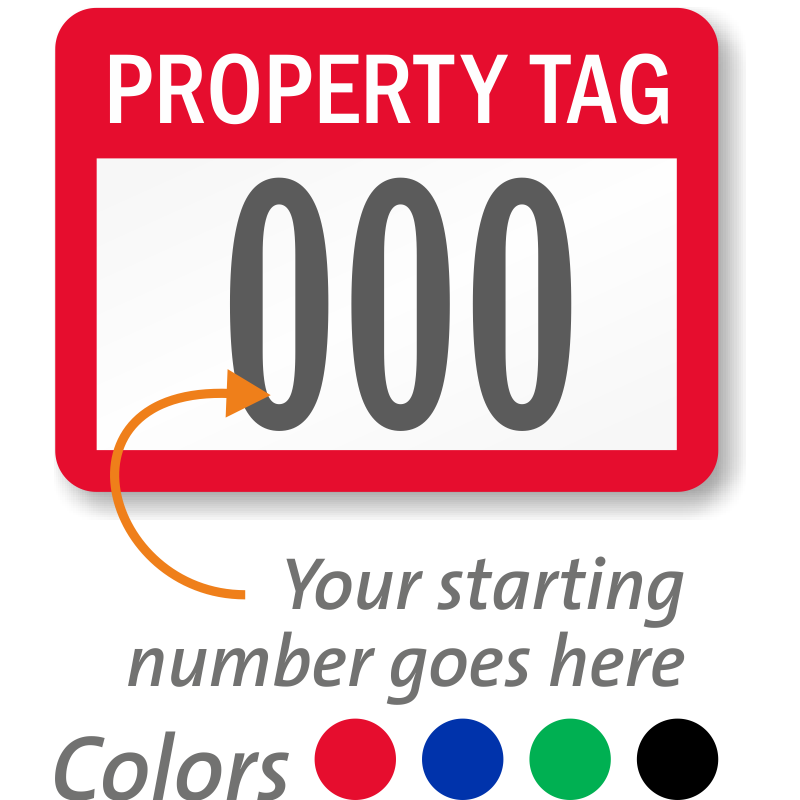 • Order sequentially numbered tags, or upload your own custom numbering or unique data field – at no extra charge. 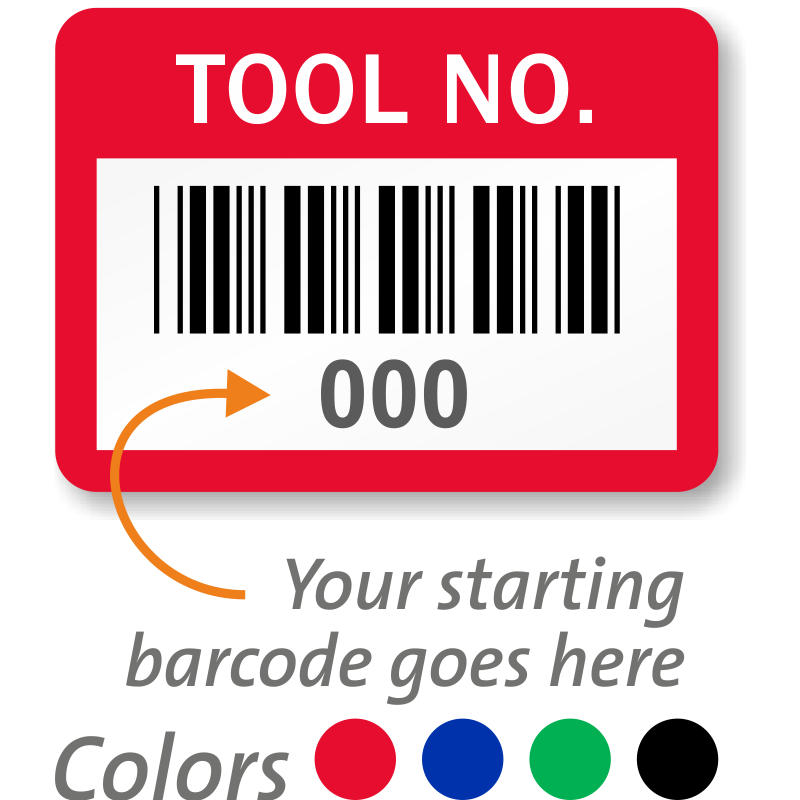 Scan 2D barcodes to keep track of your tools. Affordable, in a variety of shapes and sizes. Choose your material below and then you can personalize a template. Metal tool labels provide the ultimate in durability. • Secure and durable! Aluminum labels feature embedded print. • Security cuts in aluminum helps to thwart vandals. Label cannot be moved to another tool. • Conforms to curves - ideal for tools. • Print and barcodes are embedded within aluminum. • Aluminum foil material is chemical resistant. • Embedded print cannot be washed away. • Permanent adhesive fuses to your tools. • Durable aluminum outlasts plastic. 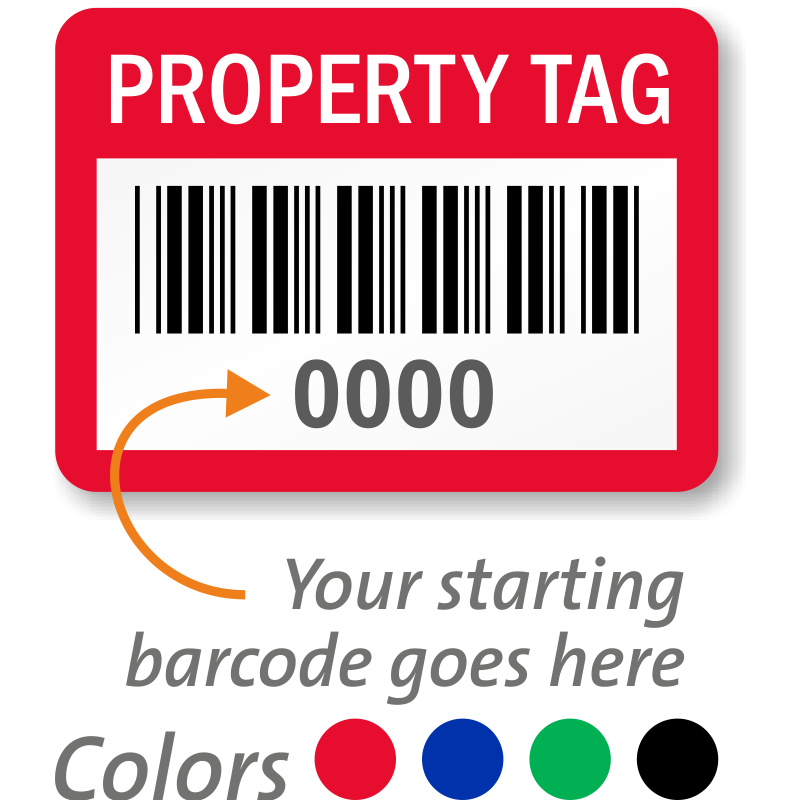 Lower costs, but still durable – plastic tool tracking labels are available in a variety of materials. • Low cost – but durable materials. • Plastic label options included labels with a brushed metallic finish and high-bond vinyl. • Tool tracking labels break into tiny pieces upon attempted removal. Thwart vandals! • Voiding and Checkerboard tamperproof labels, too. • Laminated for extra durability. 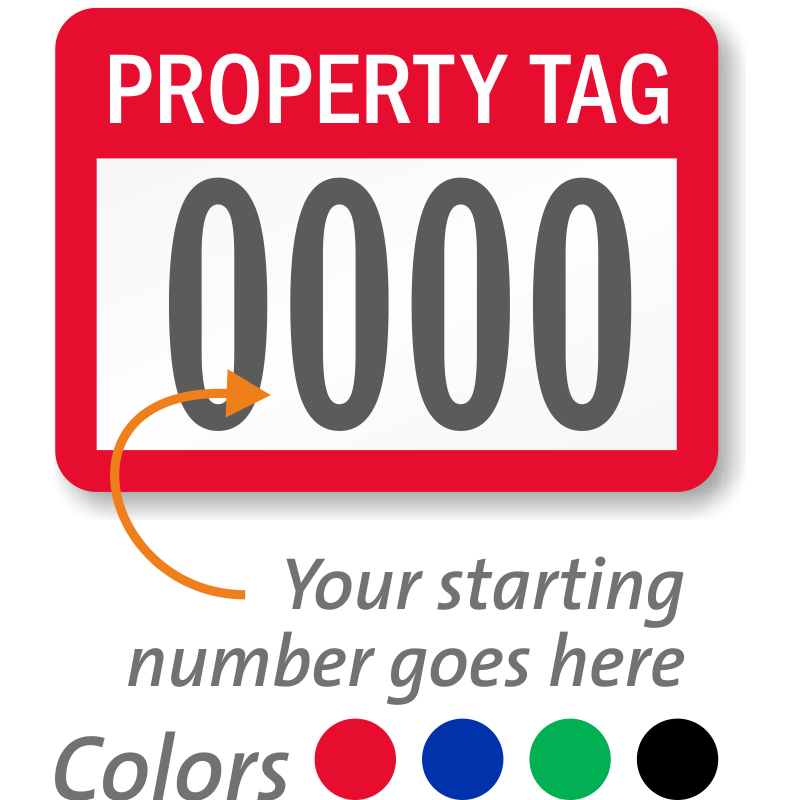 • Labels outlast weather, abrasion and chemicals. • Matte or gloss finishes are available. 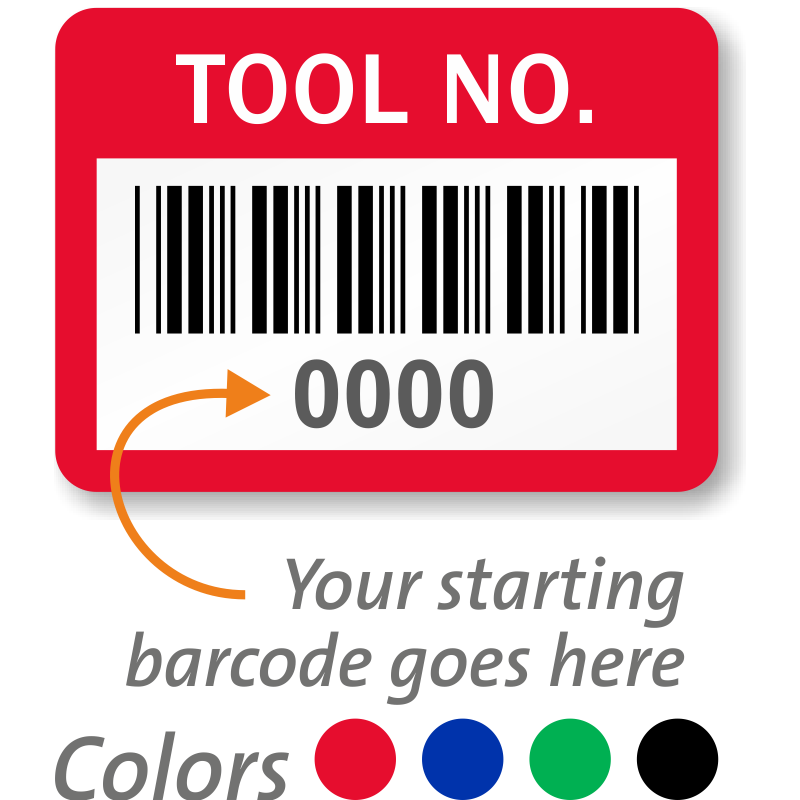 In many cases, an off-the-shelf tool label solution will suffice! 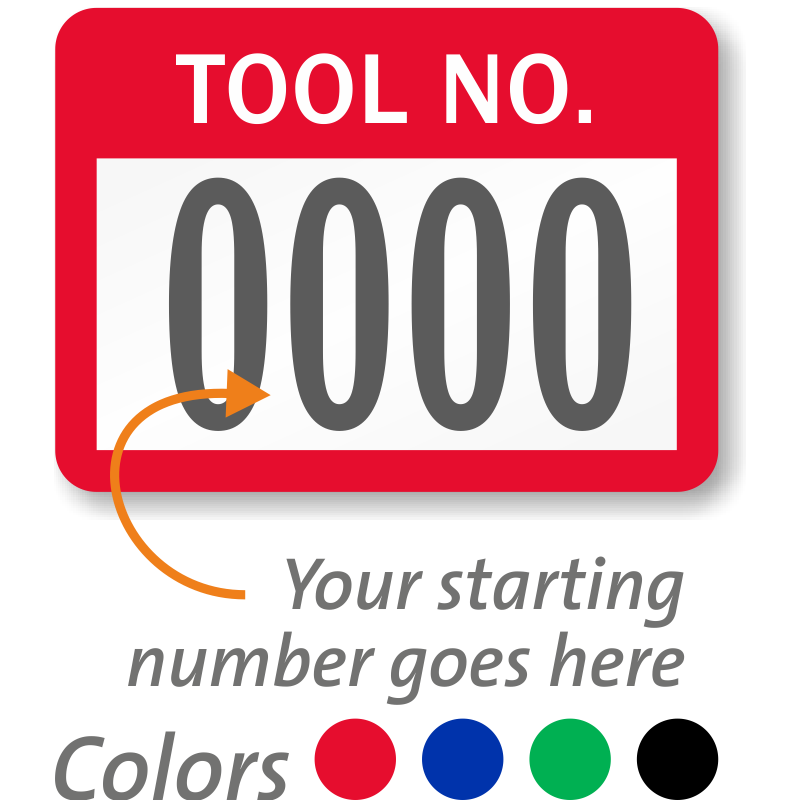 These tool labels are stocked in a broad range of colors and in numbers from 0001 to 9999.